I’m having a lazy day today and chilling out. I can’t wait to get out of the marina and get sailing again! « How to train humans! 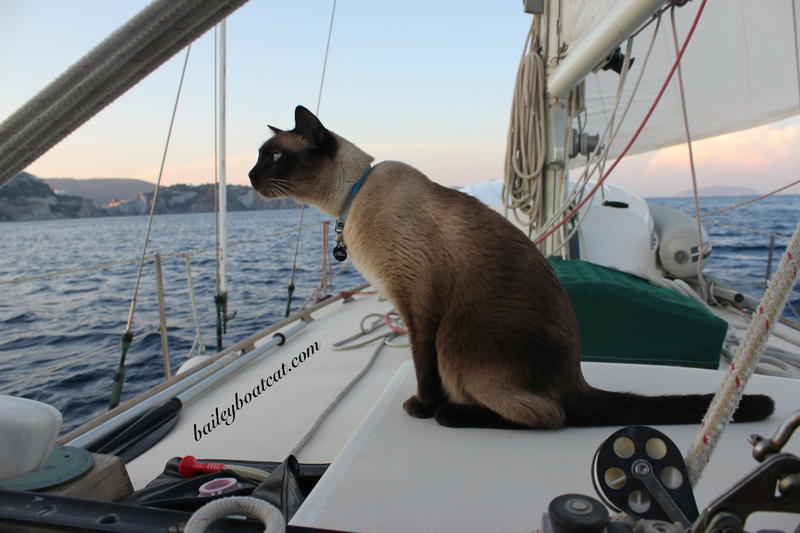 We purr you have good sailing and warm waters. It’s pretty cool here in Nova Scotia. -5C ! We’re chilling too…though we wish we were on your boat chilling! Me? I competed in a cat show today! It was a fun day. With all this snow, Daddy is staying in and we will be watching the NASCAR race today. Aw, Bailey, yesterday is already gone, and I only just now had a chance to check your message. My cats and I did a lot of Cat Scouts work and tweeting!! Today, we ‘ve been having all day freezing rain and sleet. The entire city and surrounding areas are an ice rink…very hazardous for kitties and humans!! Happy Earth Day from my favourite place!